When combined, Tsavo West and Tsavo East form one of the largest National Parks in the world and at almost 22,000 sqkm, it is the largest in Kenya. The Park lies half way between Mombasa and Nairobi and it is the road and railway between Kenya's two main cities that divides it into East and West. 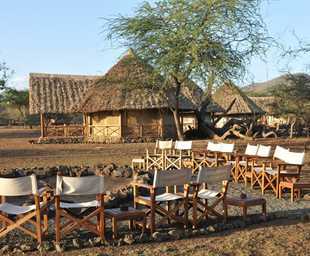 The larger Tsavo East offers a vast and largely untapped wilderness of arid bush with some of the most dramatic landscapes in Kenya; generally flat, with dry plains across which the Galana River flows. Other features include the Yatta Plateau and Lugard Falls, and Baobab trees are a common sight. Much of the park north of the Galana River is closed and only a few private safari operators may enter, but this makes the park feel even more remote and rewarding. Large herds of dust red elephant occur, along with rhino, lion, buffalo, leopard, gerenuk, lesser kudu to name a few species. Birding is exceptional with almost 500 recorded species. 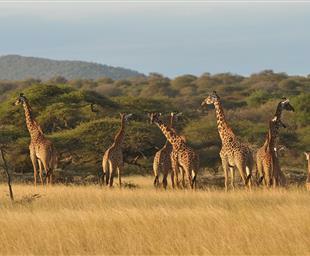 Tsavo West was established in 1948 and forms part of the Greater Tsavo National Park. 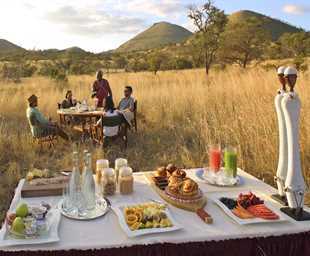 The savannah ecosystem comprises of open grasslands, scrublands, and Acacia woodlands, belts of riverine vegetation and rocky ridges and is not as arid as the eastern Park. The same abundancy of wildlife is found here, however the greater diversity of vegetation and habitat mean there are more recorded bird species to be found. 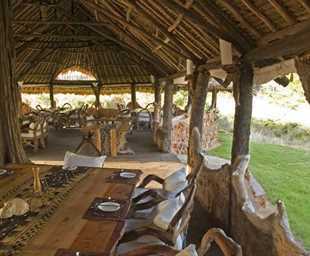 The park is also more developed with more lodges and day and overnight safari visitors from Mombasa.